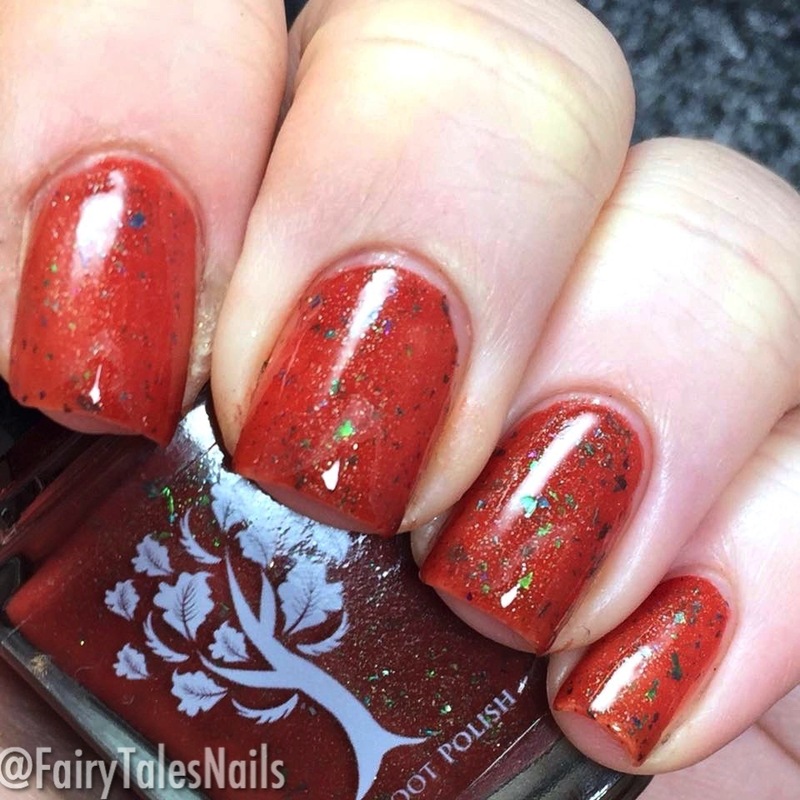 Lucky for me I had three fabulous UK indies contact me saying they would be interested in making some polishes for me. 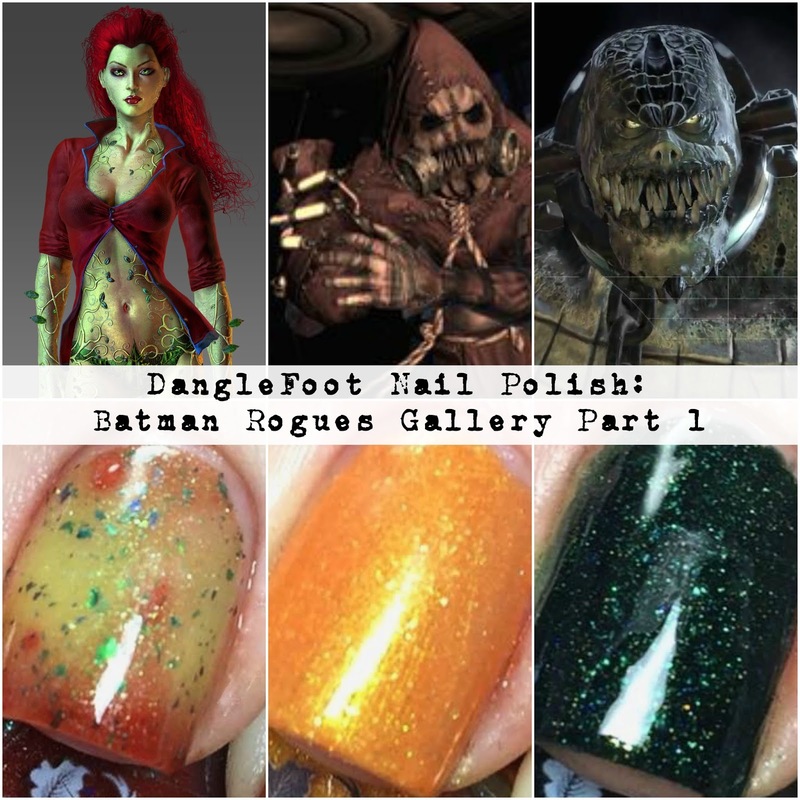 Among those indies was the amazing Danglefoot Nail Polish, Hayley has done an epic job at creating these polishes and they are perfect for each character. 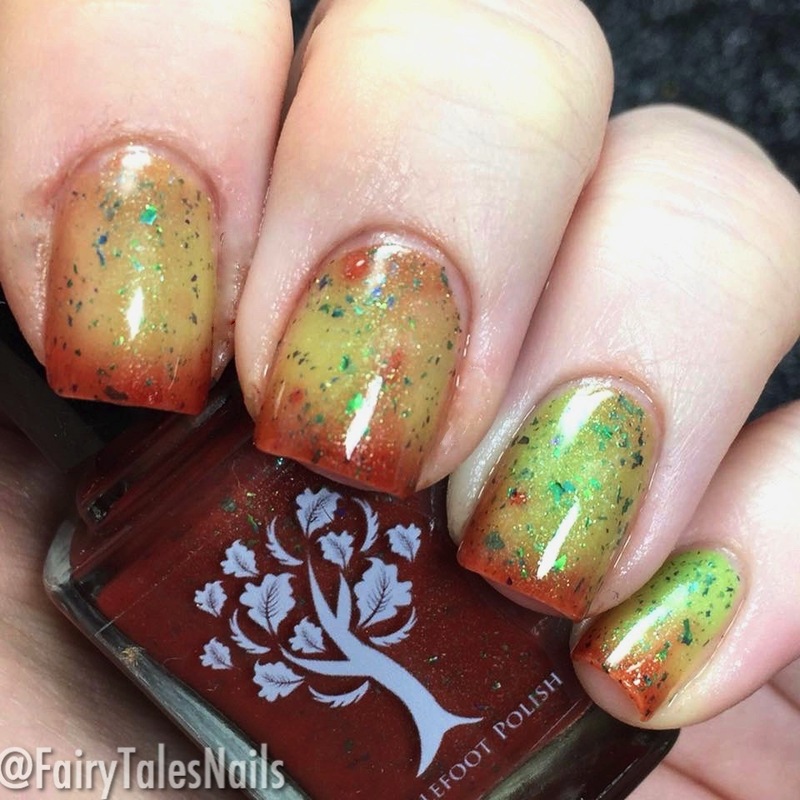 For the character Poison Ivy Hayley made this gorgeous thermal polish, when it its cold state it is a gorgeous deep maroon red, with green flakies. Then when warm it changes to this stunning bright green. 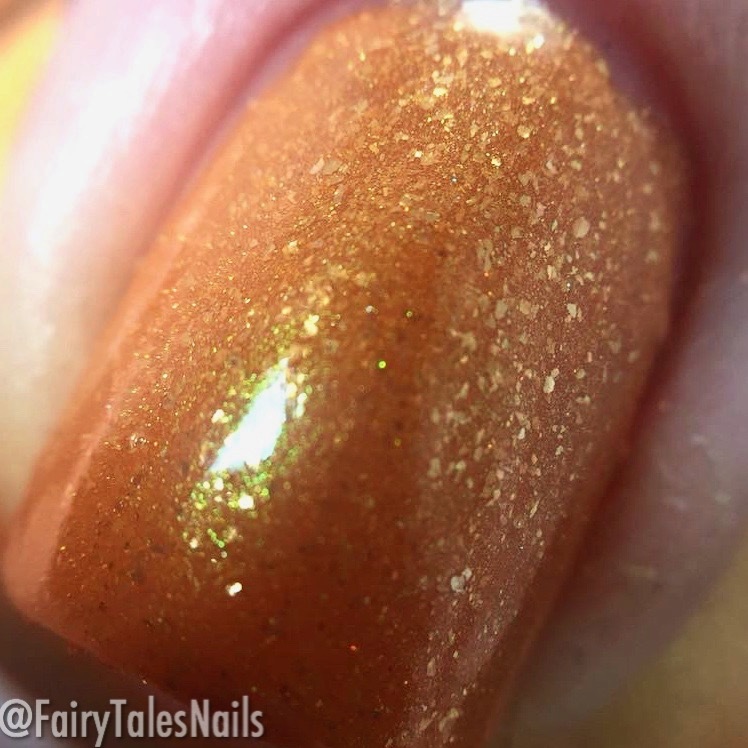 It was fully opaque in 2 coats and gorgeous to apply, the change on this thermal is unbelievable. Poison Ivy is a long time well known villain in the Batman universe, she has a hatred for me and wants to turn the world into her own green plant paradise. The second polish is for the villain Scarecrow this is a beautiful straw coloured orange with gold shimmer. 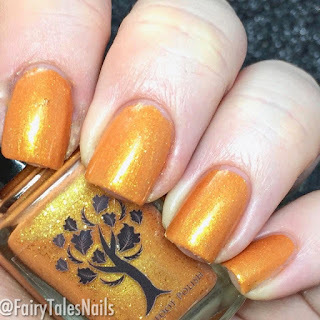 This was fully opaque in 2 coats and had a really lovely formula to work with, this polish is really unique colour wise to my collection. For those of you who don't know Scarecrow is a man called Johnathon Crane who used to be a psychologist. He gets obsessed with finding the fears of his patients and develops a fear serum that causes his victims to experience their worst fears. The serum he uses is this exact colour, so this polish works so perfectly. 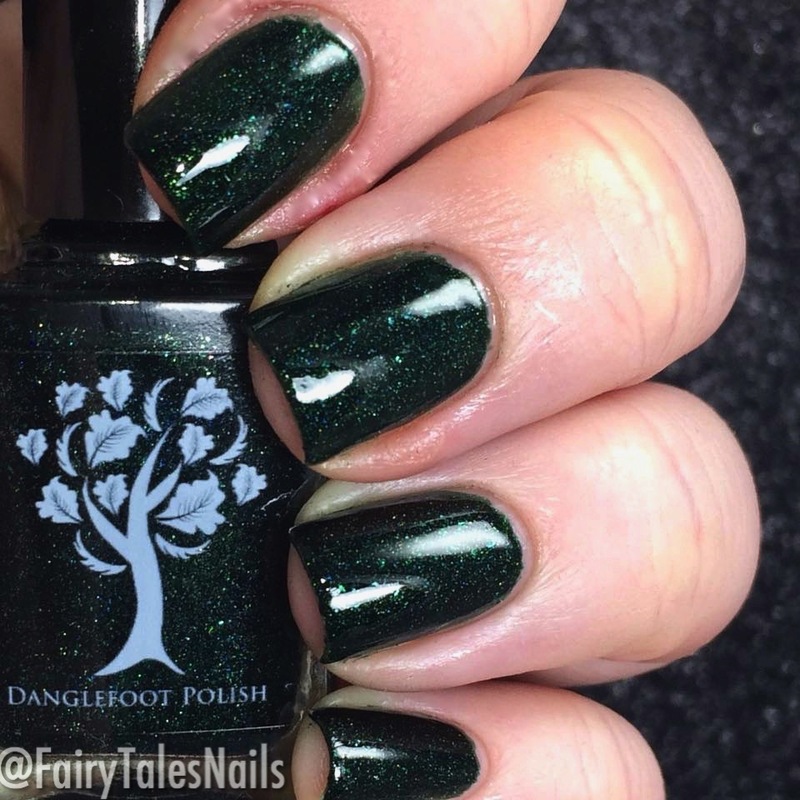 The final polish from Danglefoot is Killer Croc, this is a beautiful dark swamp green linear holographic. Completely opaque in 2 coats and a really gorgeous formula to work with, another perfect representation for the character. Killer Croc is another well known Batman villain, Waylon Jones is a man who was born with a mutation that makes him look like a Crocodile. 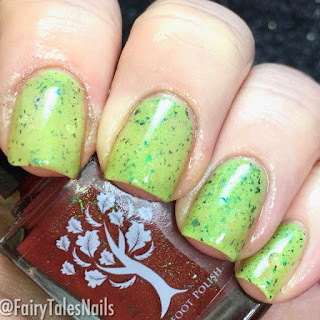 I am over the moon with these polishes Hayley did such an amazing job and they are just what I was looking for. 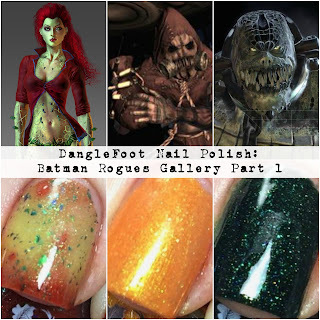 She is releasing Poison Ivy and Scarecrow as a duo for an upcoming Villain Duo series so keep your eyes peeled for those. I would love to know what you think? Which one of these would be your favourite? I honestly don't think I could choose between the three. As I am sure you know Danglefoot Nail Polish is a UK indie company, all of the polishes are handmade, 5-free, cruelty-free an vegan-friendly. Hayley has released quite a few new collections in the past couple months so make sure you go and check out all the other beauties she has. 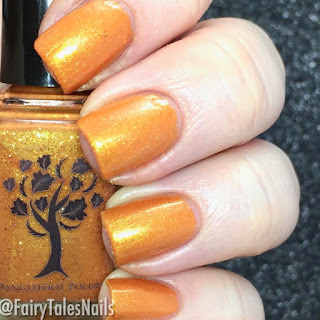 I really hope you enjoyed this post, I will have part 2 from Little Fudges Beauty Shop and part 3 from Vegan Beauty Cosmetics up shortly. Hope to chat to you all again soon.